Behind every button lies hundreds of hours and thousands of thoughts. Moving a key by a millimetre or increasing the width of a device involves decisions in which a lot of time and resources have been invested. Behind every button lies hundreds of hours and thousands of thoughts. Hundreds of engineers and tonnes of research. Moving a key by a millimetre or increasing the width of a device involves decisions in which a lot of time and resources have been invested. Nowadays, technology is probably the area which is changing the fastest. A field where innovation is an unending marathon at a sprint pace. At LG they are taking part in this race which, according to them, leads to one objective: making peoples’ lives easier. That is what innovation means for this company. And innovation, the discovery of new products and new ways of doing things, is always led by what users ask for. They are ultimately the ones who decide if a new concept was worth it or not. That’s what innovation is about. It’s trial and error. Something which is never certain but which can sometimes constitute a worldwide revolution. This search for small improvements goes on every day in thousands of workshops, laboratories, businesses, and homes. 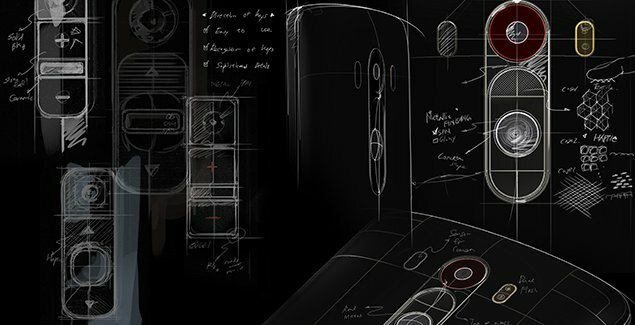 We take a look at LG’s offices and see how they design phones which aim to be an “exquisite experience”. The first question they ask themselves is whether the device itself works well in the palm of your hand. The G3, the latest model, does away with all of the buttons, leaving only one: the rear button. This was done for ergonomic reasons. “We did a lot of tests with users to see how they use their mobiles and what we can do to make it more comfortable for them”, explains Elías Fullana, MC Marketing Director at LG. “We saw that the index finger naturally rests there. Side buttons end up being uncomfortable. We tested various types of hands to find the optimal position. We also made it quite big so that it would be easy to find, yet not so big as to be annoying. This model’s screen is as big as the device will allow. By listening to the user they discovered that one of the biggest demands was to increase the size of the screen without increasing the size of the smartphone itself. “By taking away the buttons on the front and leaving a single button on the back, the screen can take up the entire front part of the phone. This has allowed us to take the screen right to the edges”, says Fullana. “And these changes led us to innovate further. Users wondered how to switch the phone on without a button on the front. So we created a new function called Knock-on. You knock the screen twice, as though you were knocking on a door, and it turns on or switches off. These are the day-to-day goings on at LG’s R+D headquarters. Their aim is to create devices with both a “sophisticated and simple” design. And, as Fullana says, “to help us to enjoy using technology”.